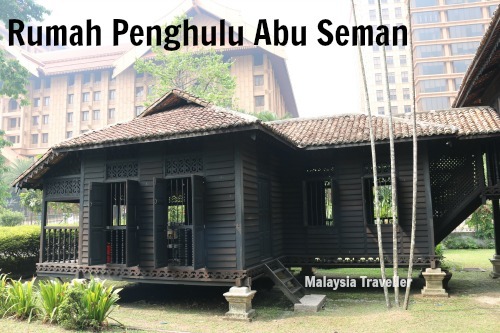 Rumah Penghulu Abu Seman is an award winning restoration and conservation project of a traditional Malay wooden house which used to belong to the local headman of a small village in Kedah. It was originally built in stages between 1910 and the early 1930s. In danger of being lost forever, it was rescued and relocated to Kuala Lumpur for restoration by Badan Warisan Malaysia, a leading conservation organisation. In now stands in the grounds of Badan Warisan’s Heritage Centre on Jalan Stonor and is open to the public. Today, it stands as one of the finest remaining examples of Malay vernacular architecture and is one of the few such buildings surviving in Kuala Lumpur. Located in the heart of Kuala Lumpur with its many high rise buildings, the Rumah Penghulu is surrounded by a traditional herb garden which has over 50 species of trees and plants. 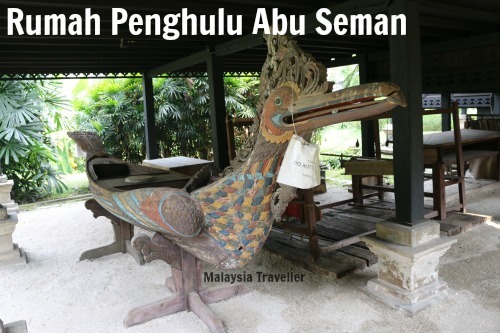 Although it is not really a museum it is probably the only chance that most visitors to Kuala Lumpur will have to go inside a traditional Malay wooden house of such quality. The adjacent Badan Warisan Heritage Centre building is also of architectural interest and worth a visit. It is a restored colonial bungalow built in 1925. It contains a gift shop, an exhibition venue and multi purpose function room. 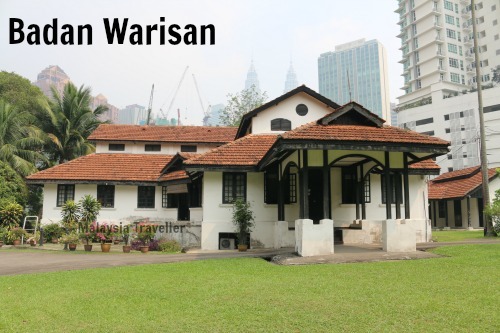 Badan Warisan’s Heritage Centre is open from 10am -5pm (Monday - Saturday) and you can enter the grounds to look at Rumah Penghulu from the outside during those hours (free of charge). 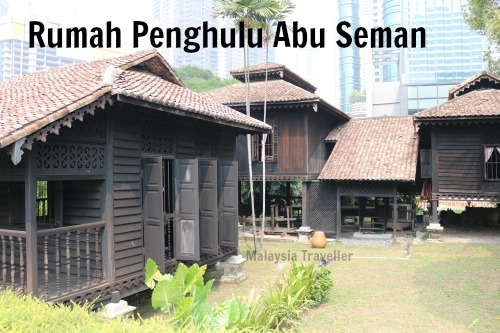 If you want to go inside Rumah Penghulu you have to take a guided tour. These tours take place at 11am and 3pm Mondays - Saturdays and there is a minimum donation of RM10 per person. More in-depth tours, which they call curated programmes, are also available by prior arrangement for groups of children or adults to learn about the customs, traditions and architecture of Malaysia. Contact Badan Warisan for details. The house is located in the grounds of Badan Warisan Malaysia. You can also find a map on their official website. The luxury Royale Chulan Hotel is immediately opposite Rumah Penghulu but there are plenty of other hotels nearby. Click on the Agoda ad below to see a full list at discounted prices.